That’s what the billboard reads as I drive to work. I cannot remember the product. The song lyrics read, “don’t worry, be happy (whistling)”. Worry … it’s a sin. (I actually wrote a post, “Don’t Worry, Be Happy” , two years ago that handles that topic.) The truth is, life is hard and there is no way to not worry … in our own strength. Imagine a life with no worries? No product can produce that in your life; no service can produce that in your life. The only way to lift worries is to lay your concerns before our Almighty Father in Heaven. A worrier will begat a worrier …. if you want your children and loved ones to lean on Christ, they have to see you leaning on Him; “Leaning On The Everlasting Arms”. Don’t worry, be happy? Yes, you can ” … Safe and Secure From All Alarms”! A friend was talking with me this week lamenting my current troubles. She said she did not know how I stood it? Well, I don’t. Sometimes it is overwhelming. Sometimes I get defeated. Sometimes I cry and sometimes I am numb. It is not wrong that I have emotions. God gave me emotions. It is wrong when I give into them and let them control my life and outlook. Children are always watching how you respond and you are preparing them all through their young lives for how they will respond to life. For that matter, others and their children are watching you and them as well. Sometimes what we go through helps others with what they go through in life. Particularly the un-saved. We are a walking testimony to our Lord Jesus Christ. If people know you and your children are Christians, can they tell it by your actions when things are not going smoothly? 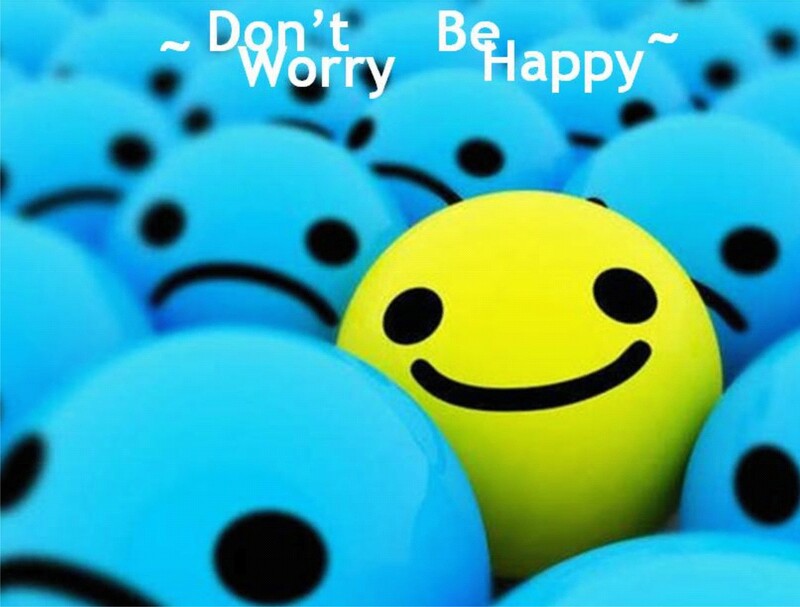 The world says, ‘don’t worry be happy’. But, they mean go party, go get drunk, do drugs, forget and pretend it’s not there in hopes it will go away. What do your children see you do in a crisis? Yesterday was my oldest brother’s 64th birthday. I thought back to 10 years ago when I drove him to his son’s funeral who had died from a brain tumor on my brother’s birthday. On the 25th of this month it will be 13 years since my middle brother was killed in a plane crash. I thought about my Dad’s seven months in the hospital and death in June of 1991. Dad and mom both had open heart surgery four weeks apart, dad had a stroke on the operating table and was in the hospital seven months. My girls were 4 and 9 and went with me everyday to the hospital. This was the same year my oldest brother was in the wreck that kept him in the hospital for five months and left him disabled for life. My mom spent 18 months in rehab and died the last of January of 2008. I went almost every day as did my girls and even my granddaughter when they were in town. The week after my mom’s funeral in Atlanta and the night before her memorial service here in FL, my youngest daughter crawled out of a collapsed building during an EF4 tornado February 5, 2008. It seems like every month there has been some trial, sometimes devastating. I realized that over the past 33+ years we have had some very hard times, including Phil losing his job 3 times in company buyouts. There were times in my daughters’ lives that I was in bed with complications from lupus. My girls had to go through so much family pain growing up. So what did they see? I do not list these for pity; there are many of you with lists that contain much more difficult times. I just want you to make a list in your mind and think with me for a minute. We tend to unconsciously pass on what has been passed on to us. Sometimes that is a good thing, and sometimes we need to break the cycle. I cannot take credit, I am passing on what was passed on to me. What did my parents do? Growing up I remember dad having 12 deaths in his family over a two-year span. I thought funerals were the norm. I remember dad walking out of his huge corporate job over principles and them wondering how they would pay the bills. I remember when dad was diagnosed with lung cancer and his surgery. I remember mom having surgery when I was 12 and so many other hard times. Hard times. They are a part of life. What I remember most is my parents praying. Yes, I remember tears. I remember some times there was frustration and anger, briefly. But, what I remember most is that everything always came down to resting in their faith and trusting their Lord. Matthew 6:25-34 “ 25“Therefore I tell you, do not worry about your life, what you will eat or drink; or about your body, what you will wear. Is not life more important than food, and the body more important than clothes? 26Look at the birds of the air; they do not sow or reap or store away in barns, and yet your heavenly Father feeds them. Are you not much more valuable than they? 27Who of you by worrying can add a single hour to his life? 28“And why do you worry about clothes? See how the lilies of the field grow. They do not labor or spin. 29Yet I tell you that not even Solomon in all his splendor was dressed like one of these. 30If that is how God clothes the grass of the field, which is here today and tomorrow is thrown into the fire, will he not much more clothe you, O you of little faith? 31So do not worry, saying, ‘What shall we eat?’ or ‘What shall we drink?’ or ‘What shall we wear?’ 32For the pagans run after all these things, and your heavenly Father knows that you need them. 33But seek first his kingdom and his righteousness, and all these things will be given to you as well. 34Therefore do not worry about tomorrow, for tomorrow will worry about itself. Each day has enough trouble of its own. Searching His word for answers and guidance and prayer will always be the answer to all of life’s problems. I can say that with conviction. Otherwise I would have lost my mind. The one thing I remember about mom was her saying, “I’ll pray about it.” My mom was always teased about having camel’s knees because she was on her knees praying at least once every day until she broke her hip in 2006 at 85 years old. And even then, she was on her ‘spiritual’ knees until the last year of her life when she had dementia. Life is hard. Do not shield your child from that fact. You are not doing them a favor. As you go through your trials they are watching. What do they see?